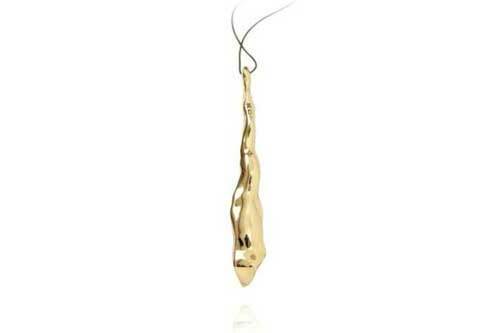 Inspired by ancient lands of Bali, this elongated pendent takes on the raw volcanic energy found there. 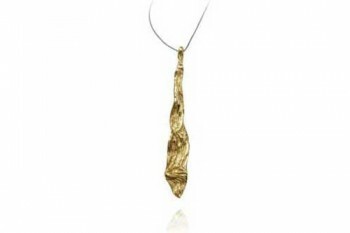 Its deeply gnarled texture, reminiscent of swirling hot lava is polished away to render it sensuous and soft. It’s two sides have different textures. One smooth, one rough. 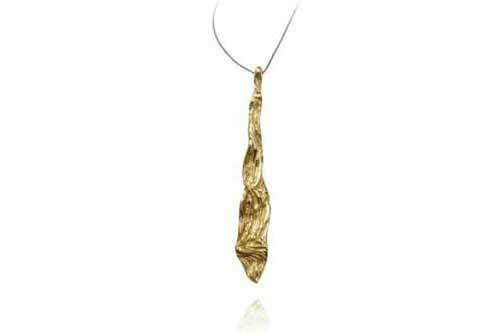 Dimensions: 6.5 in x 1 in pendant. Materials: Polished Brass with dark grey cotton cord.